Thank you for letting me share some of the interesting books I’ve come across. I hope that you’ve been motivated to read more books too. Most of us can’t resist a “Best of” or “Top Ten” list, and I can’t resist putting one together. Here’s a rundown of the best of the books I’ve read this year. Happy New Year and Joyful Reading! Happy Holidays! Let’s all remember that the holidays are not about “stuff” – the holidays are about family, friendships, appreciating what we have, and focusing on what is important to us. * Personal gifts. Kids and crafty adults can offer home-made baked goods, quilts, drawings, paintings, and more. How about a live plant or flowers – remember to include instructions for care. * Framed children’s art. If you have school-age kids, ask them to create a drawing or painting. Present it in an inexpensive frame, along with a photo or handprint. * A $20 Secret Santa. Why not start a Secret Santa tradition? Just set a dollar amount, and everyone secretly chooses one person or chooses numbers out of a bowl. You won’t have to buy gifts for everyone, and you won’t worry about forgetting anyone. * Holiday potluck dinners. Who says you have to do it all? Instead of hosting a holiday dinner, ask everyone to bring an appetizer, entrée, or dessert. It’ll lessen your stress without lightening your pocketbook. What are your favorite Christmas and winter holiday traditions? How can we save a little to share a little more? The University of Hawaii at Manoa’s School of Travel Industry Management (TIM) currently offers internships with local and international companies. But I think that students would benefit from hotel experience in Hawaii. Why go overseas when Hawaii is a world-class destination? Since 1950, Cornell University’s School of Hotel Administration, in partnership with the J. Willard Marriott Executive Education Center, has staffed the Statler Hotel. It’s a “Teaching Hotel” that integrates university courses and career experience, while offering accommodations for visiting students, families, faculty, alumni, and conferences. Why don’t we start a world-class “teaching hotel” in Hawaii? With the help of University of Hawaii students, we could design and build a first-rate facility, highlighting energy efficiency, technology, and Hawaiian culture. Working with hotel management professionals, students could staff the hotel, learning everything from reservations, concierge, maid service, and laundry to cuisine, conferences, events, and marketing. We could assemble all the best-practices of Hawaii hotels and offer unique training services for tourism and hotel operators. Best of all – if it’s run properly, the hotel should pay for itself. Especially if we contract with vocational students for electrical, plumbing, and engineering maintenance – not to save money (though that is a consideration), but to give students experience and responsibility. The “Teaching Hotel” doesn’t have to be very big – it could even be a boutique hotel. The challenge is finding a desirable and affordable location. What do you think? Can University of Hawaii students build and manage a not-for-profit teaching hotel? Can we create a unique hospitality teaching experience that will draw people from Asia and Europe? We try to be generous and help our neighbors, even in touch times. In 2009, 92% of Hawaii households donated to charity, according to Ward Research (“A Report on Charitable Giving in Hawaii,” 8/09). 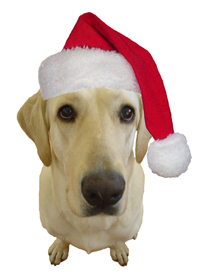 We try to choose charities that can make the best use of our donations. But how can we choose effective charities? There are 1,451 registered charitable organizations in Hawaii as of June 2010, all of them competing for our attention, our time, and our money. That number doesn’t include all the national and international non-profit organizations asking for our support. The number of charities reflects our aloha spirit, but I think we need fewer charities in Hawaii. So here are three ideas to help make charities more effective, and put charity organizers in touch with each other. * Let’s consolidate charities. If charities with similar backgrounds and objectives merged together, they could share their capabilities, resources, volunteers, and donors. Smaller charities have more help raising money, filling out grant applications, and finding the right people. * Let’s donate directly to the charities that we support – and reduce the number of charities that raise money and pass that money on to other charities. By donating to a fundraising organization, we reduce the amount that is actually spent on programs and services. * Let’s partner with existing charities before starting a new charity. Or consider a bequest or scholarship fund as a memorial. We may not have the same impact or control, but we’d be working with an established and trusted organization. I know that sometimes, a little money can make a big difference. But fewer charities would be able to raise more money and accomplish more. What do you think? The Overton Window is a tactic to manipulate social opinion by reframing the issue: “put a false extreme at both ends to make the choices in the middle look more moderate by comparison” (page 146). We use this tactic without even thinking about it at car dealerships, during online auctions, and for business contracts, but we call it negotiation or compromise. Here’s a harmless everyday example: if my son wants to go to sleep at 10 pm, and I am willing to let him stay up until 9 pm, I can suggest a 8 pm bedtime. Suddenly, 9 pm looks pretty good. Or, used against me, but still relatively harmless: if my spouse wants to buy a $1,000 TV, but I think $700 is more reasonable, they might suggest a $1,500 TV. Suddenly, $1,000 is a compromise. But what happens when the choices are more serious and one side has more power than the other? 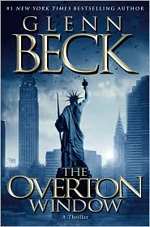 In “The Overton Window” (2010), a political thriller by Glenn Beck, Noah Gardner, son of ruthless public relations visionary Arthur Gardner, meets activist Molly Ross and falls in love. His heart leads him to a Founders Keepers rally, a secret agenda to consolidate wealth and power among the elite. Meanwhile in Nevada, undercover FBI agent Stuart Kearns and blogger activist Danny Bailey set up a sting operation to catch homegrown terrorists – but get caught up in a sting themselves. The plot is a little awkward and the characters are flat – we don’t really know what motivates them. Noah is an odd protagonist – educated and intelligent, but passive, detached, and without convictions. We are sometimes like Noah, indifferent to manipulation, nonjudgmental where we should take a moral stand. The central conflict in the book is whether the people or whether a select group are best capable of deciding our future. “Our founding documents established this new form of government to protect us from the sickness that has destroyed freedom since the dawn of civilization: the inevitable rise of tyranny from the greed and gluttony of a ruling class” (page 62), argues constitutionalist Beverly Ross. “The American experiment has failed, and now it’s time for the next one to begin. One world, one government – not of the people this time, but of the right people, the competent, the wise, and the strong” (page 211), argues power-broker Arthur Gardner. The novel is about the defining moments in your life; how our ideas of what is “normal” can be manipulated; the compromises we make to our freedoms – for better security, for better government, for economic stability; and social change as evolution vs. revolution – not by changing opinions, but by changing the truth. “The Overton Window” is thought-provoking and grim; don’t dismiss it because it is a conspiracy theory. Instead, think about the choices that government offers us: for example, the choices we were given in airports used to be x-rays vs. full-body scans; it has become full-body scans vs. intrusive pat-downs. Are there any ‘false extremes’ in our lives? How can we present our own choices back to our government – and marketing executives? You are currently browsing the Better Hawaii weblog archives for December 2010.